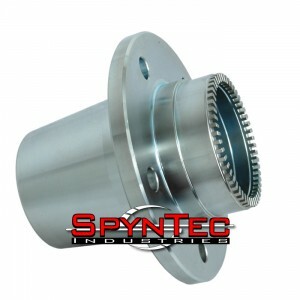 SpynTec™ Industries has created an option for the JK by adding it to our new SpynTec™ line of fixed spindle conversion kits. SpynTec™ kits restore the ability to service and maintain your vehicle as needed, while reducing the wear and tear to your driveline by allowing for the front hubs to be unlocked. Your ABS and ESP functions are retained with the combination of our uniquely designed hub and spindle. Our forged hub features a gear cut tone ring, while the forged spindle retains the factory ABS sensor mount. As with all SpynTec™ kits, your speed sensors are now completely sealed from harsh on and off road conditions. 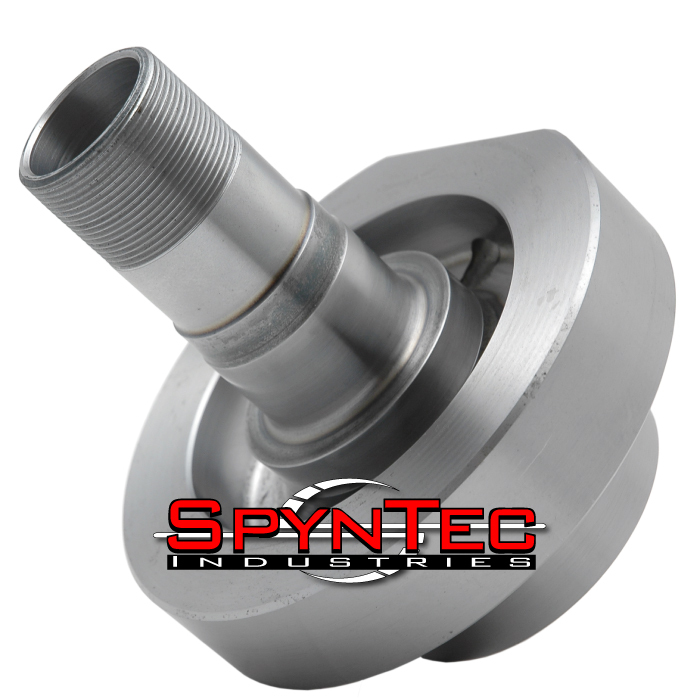 Only the highest quality components from Timken, SKF, Warn, Chicago Rawhide and Spicer go into every SpynTec™ conversion kit. Note: Uses 5 on 5.5 bolt pattern, rotors must be bored. • Complete rear shaft assemblies with tone rings, retainer plates, and studs.